When Valentina and her newfound friend Jerry play dress-up in the attic, the Whackadoodle Witch comes crashing down the chimney. She claims to be one of the most powerful witches of all time, but even she can’t free herself without a spell book. 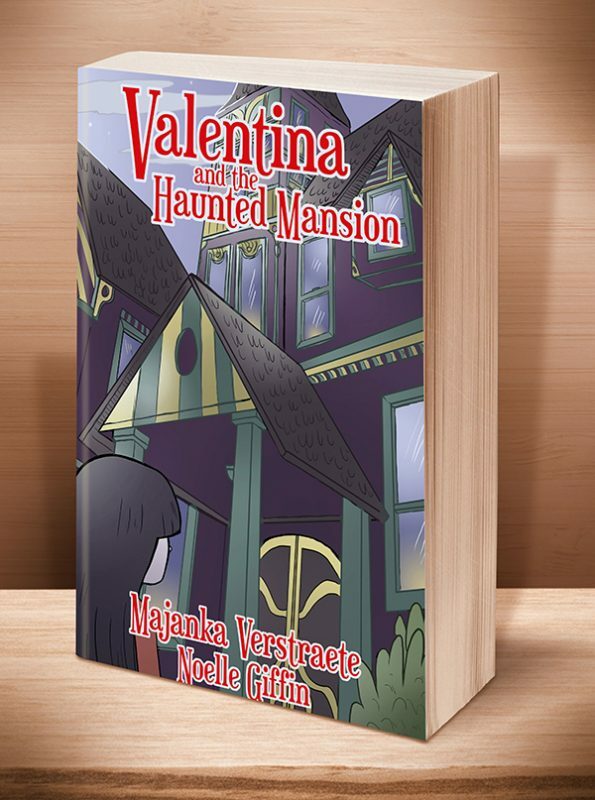 If Valentina and Jerry want to help the witch, they’ll have to search the house from top to bottom. Not an easy task in a house crawling with monsters in all shapes and sizes. This hybrid picture/chapter book is ideal for kids as young as 3 and as old as 8, depending on reading level and parental involvement. It’s not every day that a witch gets stuck in your chimney, dangling upside down. 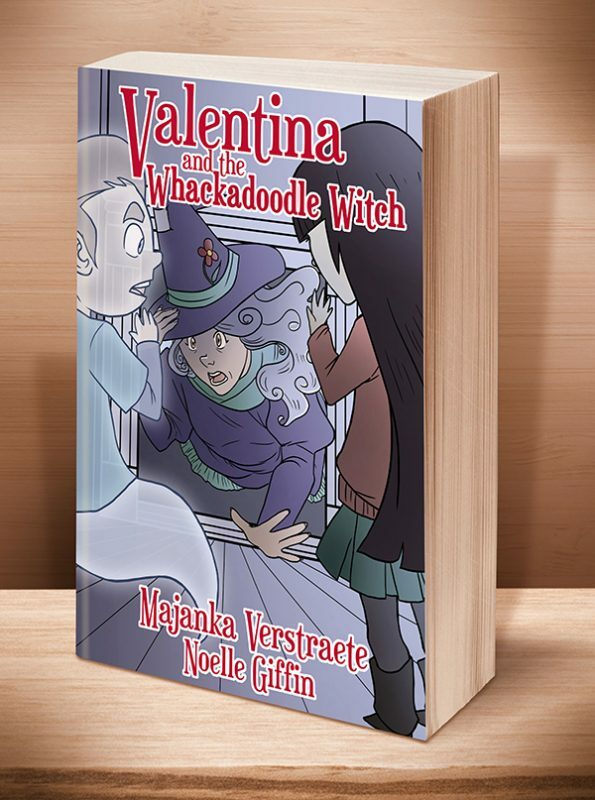 When Valentina and her newfound friend Jerry play dress-up in the attic, the Whackadoodle Witch comes crashing down the chimney. She claims to be one of the most powerful witches of all time, but even she can’t free herself without a spell book. Just one problem: that spell book was snatched by Meanie Muggers, invisible thieves who steal valuable objects and hide them where you’d least expect. If Valentina and Jerry want to help the witch, they’ll have to search the house from top to bottom. Not an easy task in a house crawling with monsters in all shapes and sizes. 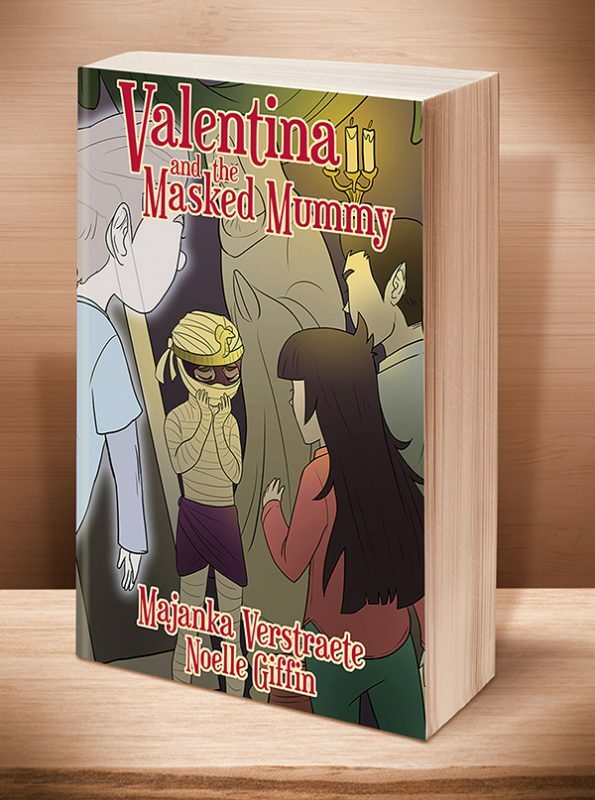 Other Books in "Valentina's Spooky Adventures"
This entry was posted	on Thursday, November 21st, 2013 at 9:44 pm	and is filed under . You can follow any responses to this entry through the RSS 2.0 feed. Both comments and pings are currently closed.